All Done! Thanks to everyone who made this a memorable finale!! Congratulations to the 2015 Postal Employees Curling Classic winners from Northern Ontario. The team of Ron Rosengren, Dave Scholz, Jenna Enge, and Anthony Smaha went undefeated in the 11 team round robin. They then defeated Saskatchewan in the 1 vs. 2 page playoff game and Nova Scotia in the final 9-4. This was the 13th win for Northern Ontario since the Classic began 49 years ago. Find out about Postal Curling Canada. From the Past Winners to the Hall of Fame. 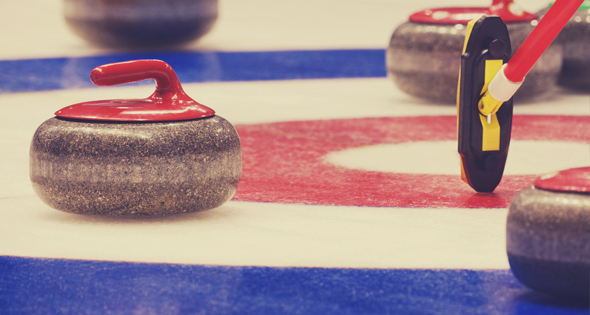 Learn the history of Postal Curling Canada. From its beginnings in 1966 to the last bonspiel in 2015.